Energy industry experts and advisers were either ignored or given inadequate time by government to provide advice on its big stick energy laws, the Sydney Morning Herald reports. The Australian Energy Market Commission (AEMC) says it was only given a few days to respond to the legislation. Meanwhile, the Energy Security Board claims it was overlooked and ignored altogether. The ‘Treasury Laws Amendment (Prohibiting Energy Market Misconduct) Bill 2018‘ addresses penalties for “misconduct” by energy companies. These include forced divestment, or splitting up of company assets, if companies fail to bring electricity prices down. 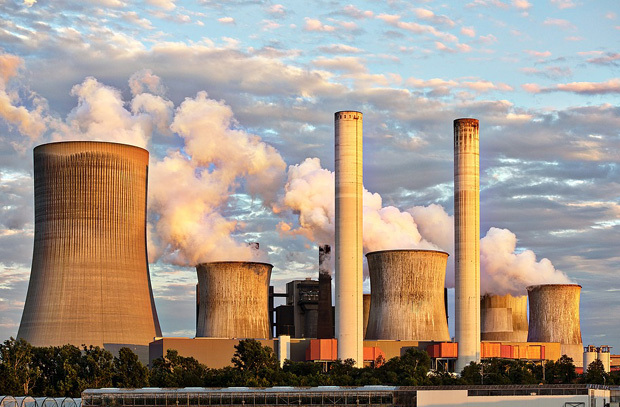 A divestment policy could force businesses to keep coal-fired plants open, if closing them would raise electricity prices. AGL’s Liddell coal-fired power plant, set to close in 2022, could be the target of new divestment laws. AEMC head John Pierce says it sends “mixed messages” to the energy sector that could discourage normal commercial investment and add risk to the taxpayer. Origin Energy CEO Frank Calabria said the new regulations would discourage investment and could cost taxpayers. He described the bill as “unprecedented overreach into the market” driven by over a decade of “energy and climate policy inertia”. Like the AEMC, Calabria also described the consultation process as rushed and inadequate. AGL chief executive Brett Redman said the bill is not only “obtuse” but that it would be very difficult to implement and apply. He also said it only adds more confusion to the energy sector. AGL management has previously spoken out about the legislation, describing it as “draconian”. While the proposed legislation aims to reduce power prices, a Frontier Economics report claims it’s likely to do the opposite. Fail to address the underlying cause of energy problems in Australia. Increase investment risk, discouraging investors. Adversely affect the way businesses in the sector transact with each other. Change how energy retailers transact with customers. Increase market price volatility, which could lead to higher electricity prices. The report blames lack of government policy on greenhouse gas emissions, rather than the energy market, for the sector’s current woes. It says policy uncertainty has led to generation scarcity, which in turn has increased electricity prices. As well as threatening big stick interventions, the government’s Underwriting New Generation Investment program could favour high-emissions electricity generation over clean energy such as solar installations and wind farms. The Clean Energy Council (CEC) described this as being at “distinct odds” with its vision for the energy market. The CEC believes renewable energy such as battery-supported solar power is the lowest-cost new generation.